Today is the day before ‘Phantom Effect’ comes out through Night Shade Books. This is my most bold piece, that in effect, took a lifetime to write. This is my biggest stage, as Night Shade/Skyhorse is the most prestigious publisher to have taken on my work. I am thrilled about this, and look forward to this part of the journey. 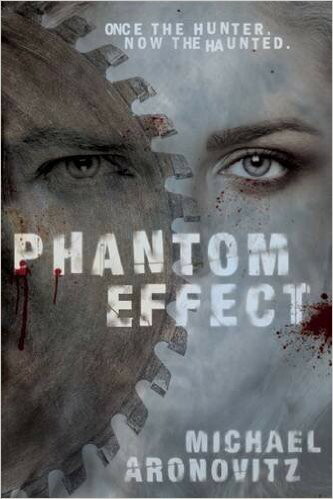 ‘Phantom Effect’ took two years to write altogether, and began with my fascination with the work of Indie Film maker Ursula Dabrowsky: pure grit and beauty. I also wanted to create something that broke writing trends and standards, and not to be too technical, I wanted to celebrate a more literary form that didn’t seem so afraid (forgive the strange personification) to express inner-psychology while moving a plot at break-neck speed. This led to point of view shifts, time line alterations, and a glorious fun house of flashbacks I hope the reader finally enjoys. This is a serial killer piece that goes into the supernatural, but more, it is a “people” piece, one that opens a lot of emotion and the darker recesses of the human heart. This entry was posted in Bloody Mary, Book Reviews, Books, Creative Writing, Erin Thorne, fiction, Film, Ghost, Ghost Story, Ghosts, Graveyard, horror, Horror Book, Horror Books, Horror Collection, Horror Film, Horror Movie, Horror Short Stories, Music, Music review, S.T. Joshi, Sarah Jeavons, Scare, Scary and tagged author, Book, Creative Writing, Hannibal Lecter, haunting, horror, horror movie, Michael Aronovitz, paranormal, Phantom Effect, Serial killer, Tamara Thorne, Thomas harris, tombstone. Bookmark the permalink.